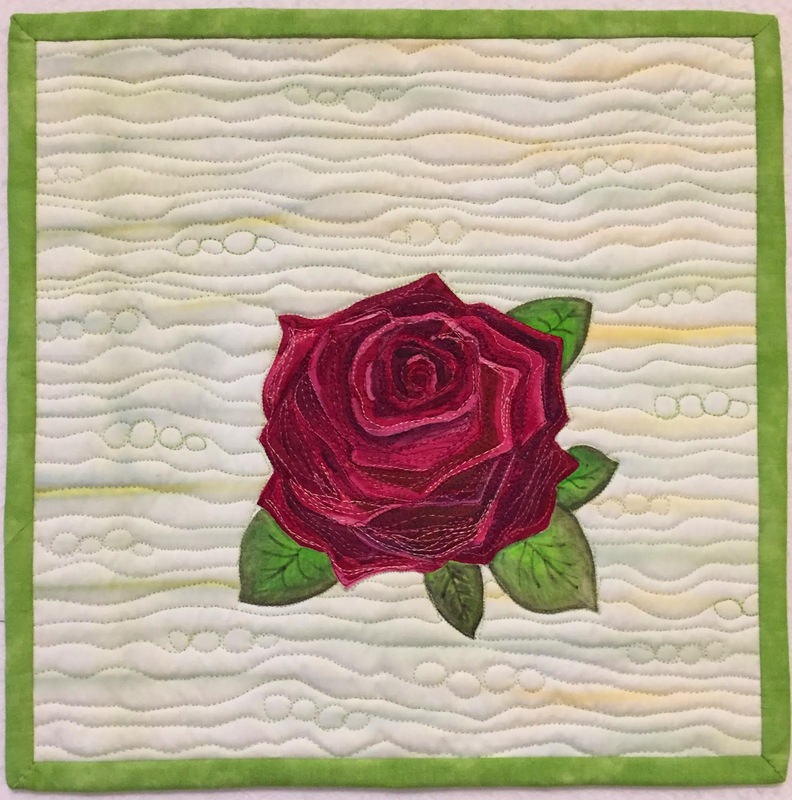 This blog is part of the series about the Whisper Challenge quilts. I got this little 12" x 12" quilt from Sharry Olmstead. It was the 9th one in the series for Karan Brooks. 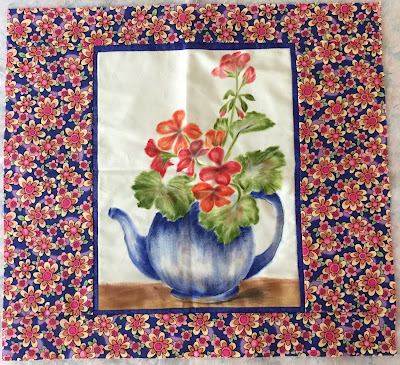 Sharry did a beautiful hand painted still life and chose the perfect fabric for the border. 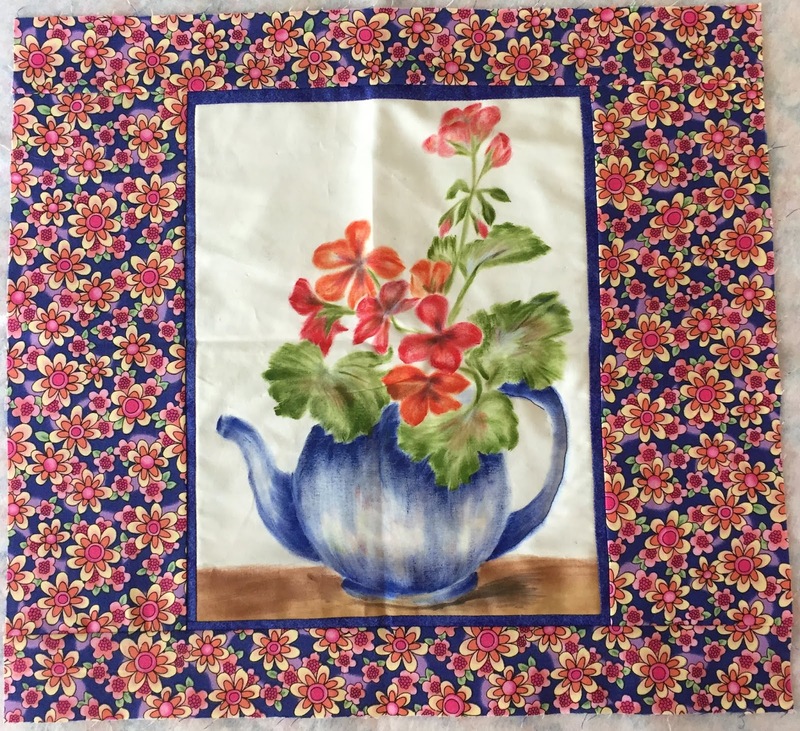 My immediate thought was to do something floral. I also know that Karan likes burgundy. I landed on a painted burgundy rose.